A stunning colorway for showing off the beauty of well-prepared, whisked Matcha. 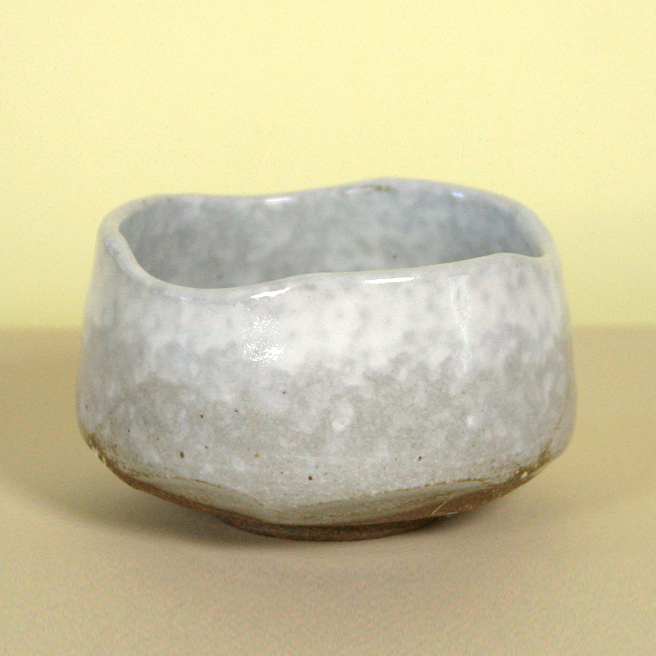 This stunning chawan imagines the tea enthusiast using it somewhere in the rural forests of Japan, in winter, enjoying a satisfying bowl of powdered tea. Delicious! 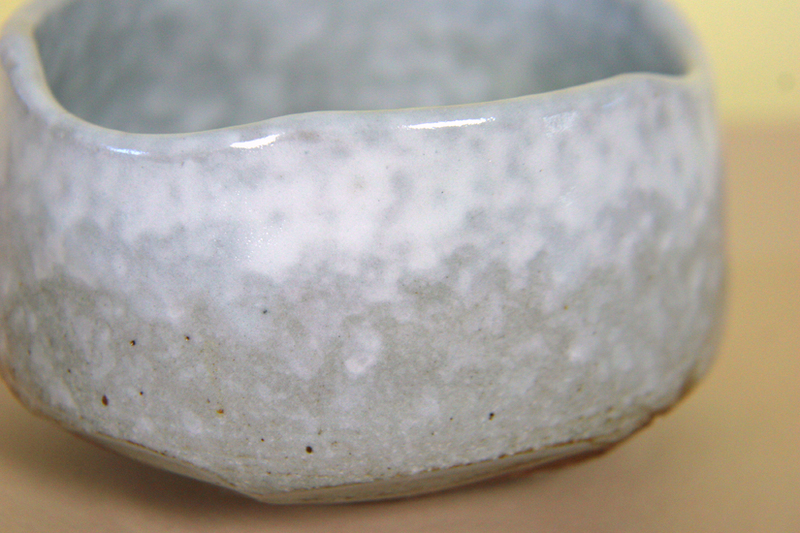 Each of these matcha bowls features this glaze in the colors shown. 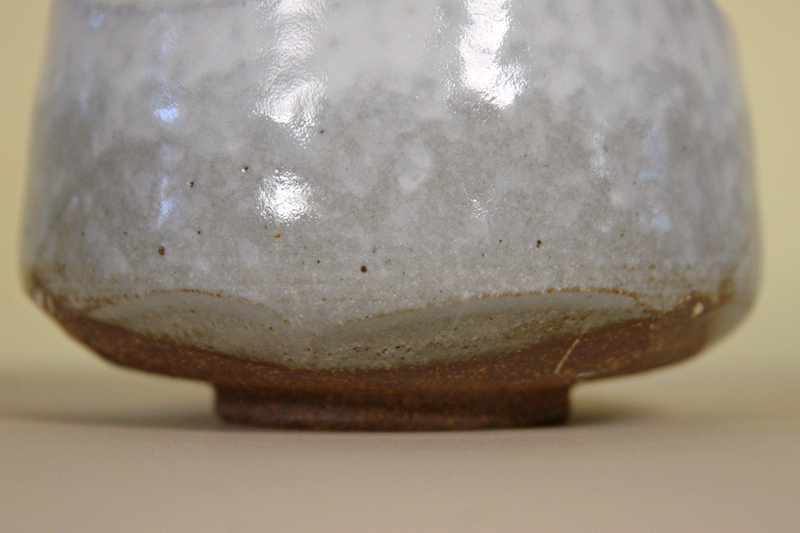 Bear in mind that each individual tea bowl will be its own unique expression of this glaze/color palette.